Sharrons Event Catering Company’s mission is to be the premier Events Catering Company for party food and party planning in your area. We specialise in events catering and party planning for all of London and the south east of England including, Essex, Hertfordshire, Kent and surrounding areas. Over time we have gained substantial experience in event catering and work with a wide range of products and services to make your celebration parties run smoothly and to plan. Our events team has researched and sourced all the best party services to ensure a wonderful and hassle-free event and to give a personal and professional service to all, from conception to completion. We know that even the smallest parties require careful planning and co-ordination. Our capable events team will look after all aspects of each event, from suggesting examples of party food and hand picking the perfect waiting staff, to matching table linen with flowers, organizing the music, entertainment and decoration. In fact we can assist you in all aspects of your catering for parties and party planning; from small parties to large events, we will exceed your expectations! We will provide a choice of party food from our party food selection of sandwich buffets, finger food, hot bowl food, luxury cold buffets, three course menus and our delicious Canapé selection. It is also important for us to consider all the special dietary requirements of your family, friends and guests, we are happy to provide special dietary party food as directed. Our team is passionate about working with local produce and where requested can use foods of providence. We also source many organic foods and would be delighted to discuss any detail of the catering produce with you. If you want we can provide a lay and leave service where we deliver and present your party food on the relevant serving dishes including cutlery and napkins so that your guests can help themselves, leaving you to enjoy the party atmosphere, or we can provide you with a fully staffed service, where our professional staff will lay all your guests tables, serve and clear away. We will also provide all necessary tables, chairs, table linen, chinaware and crockery. Whether you require wine and beer or a fully stocked bar, Sharrons Event Catering Company can assist in all areas. We provide experienced bar staff, glasses, optics, ice and all necessary bar equipment. We will cater for all your drinks requirements or if you prefer to supply your own drinks we will provide the staff to serve it for you. We know time is a precious commodity to most of our clients, so we are more than happy to discuss your party event catering in full at your home, at a time convenient to you. 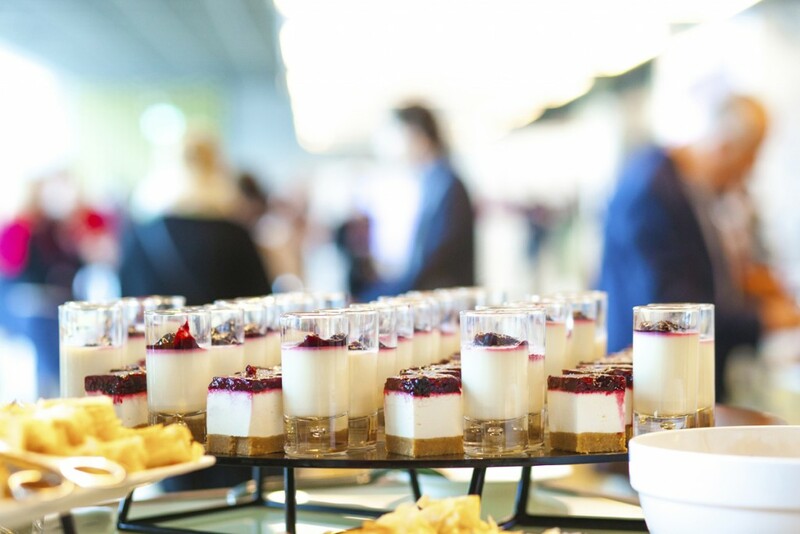 Our event manager will discuss every detail and requirement to ensure that everything is covered to leave you relaxed in the knowledge that your party’s catering will be one less thing to worry about. If required we will, as part of our service, visit your venue with you to ascertain if additional resources are required, this way you can relax in the knowledge that all aspects of your day have been fully considered. If you are having parties or events in London and the south east of England including, Essex, Hertfordshire, Kent and surrounding areas. No matter the size of your party, how simple or complex your requirement, please do call or email Sharrons Event Catering Company’s friendly event team to discuss your needs.